We are a UK-wide charity dedicated to ending domestic abuse, for good. We combine insight from services, survivors and statistics to support people to become safe, well and rebuild their lives. We believe that domestic abuse can be stopped. Stopped before it starts. Stopped before it ruins lives. And why do we say "for good"? Because we want to stop it before it starts. And if it does start, we want a response that provides long-term, wraparound support to decrease the chance it will happen again. Too many perpetrators repeat their behaviour, too many children grow up impacted by the long-term effects of domestic abuse. The cycle needs to stop. Forever. For everyone. What would you want for your best friend? 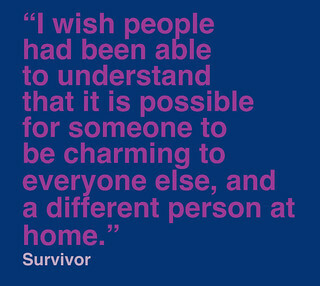 We want this for each and every person living with abuse. Wherever they live, whoever they are. To end domestic abuse we must see the whole picture. Domestic abuse is never all of someone's experiences or situation. We need to see the whole person, the whole family, the whole community and the whole society if we are to truly see the whole picture. Inherent in all this work is the expert voice of frontline practitioners and the authentic voice of survivors. We will keep expanding the opportunities for those with lived experience to speak for themselves, in their own voices, and be heard by those who can make change. We are ambitious. But we cannot and will not do this alone. Work with us, talk to us, tell us what needs to change and we will do everything we can do make it happen. We believe it is possible to end domestic abuse. The time is now.